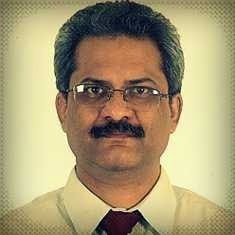 [Political parties often repeat claims their commitment to Secularism;. However, for all intents and purposes, we know that often their actions belie their statements. 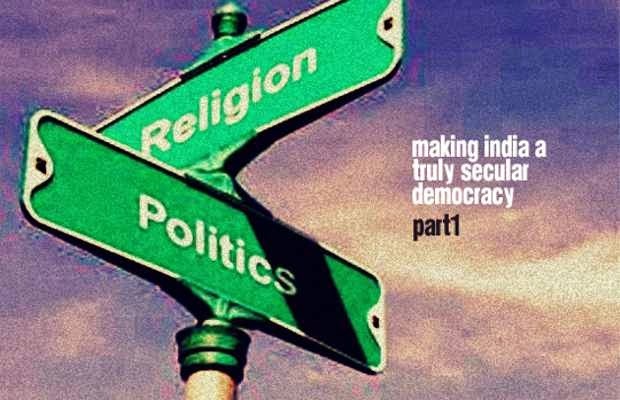 There are some political parties that openly promote or seek to promote religious agenda/ identity and we do not see it as inconsistent with the values of Secularism. In 1976, during the period of Indian National Congress (INC / Congress) governance, the Indian constitution was amended to include the word SECULAR in the preamble. However right wing Hindu parties accuse Congress Party for pursuing a pseudo-secular agenda. The accusation rang true after the “Muslim Women (Protection of Rights on Divorce) Act, 1986” was passed by a Congress Party led parliament post strong Muslim agitation over the Supreme Court judgment on the Shah Bano case. To insist that Hindutva is true secularism, BJP, when convenient, harps on the need to bring in “Uniform Civil Code”. However, this need is expediently forgotten whenever voters have given them opportunity to govern. Indian polity also readily accepts political parties that promote or seek to promote religious agenda/ identity e.g. Shiromani Akali Dal, Indian Union Muslim League, All India Majlis-e-Ittehadul Muslimeen, etc. We can thus safely state that while most political parties speak of and for secularism, they are all guilty of just paying lip service. Religion Christianity, Islam, Judaism, Zoroastrian, Shaivite, Vaishnavite, Animist, etc. Cuisine Preference for certain food items like coconut, kokum, mustard oil, fish, meat, etc. Values & ideology Communism, Democratic, Socialist, Free-Market, etc. So when people speak of Hindu Culture they generally refer to that cultural group with whom they identify as evidenced by its regional appellation like Punjabi, Gujarati, etc. E.g. When an Indian describes himself by stating that he is ‘Himachali’, he just wants the audience to understand that he has nothing in common with a ‘macher-jhol & rosogulla’ eating person from Bengal, a ‘idli-sambar & pongal’ eating person from Tamil Nadu or a ‘makkai-di-roti & sarson-ka-saag & jelebi’ eating guy from Punjab. Simply put, Hindu’s are a deeply divided society. In general, Hindus are unable to distinguish between religion and other aspects of their culture. Hindus are not only divided along regional (linguistic) and caste (and sub-caste) lines but also by the gods they follow (Shaivism, Vishnuism, Animist, Buddhism, etc.) or do not follow (Atheism). Even within particular Hindu sects, there is division by the teaching of religious gurus. Religious teachings are often contradictory to one another. A notable feature of Hinduism is that except for few cases, even the festivals are not common e.g. Hindu New Year don’t fall on a single day across India. However I share this not to complain about our diversity but as a source of vitality and strength. The Persian term “Hindu” introduced during 13th century denoted citizenship but by 19th century was synonymous with religion. In explanation II of Article 25 (2) (b) of Right to Freedom of Religion the Indian Constitution amply clarifies “Hindus shall be construed as including a reference to persons professing the Sikh, Jaina or Buddhist religion.” This makes it amply clear that the term Hindu no longer refers to citizenship of India i.e. Bharat. Hence, while we can say every Hindu is a Bharatvasi but no longer can we say every Bharatvasi is a Hindu! The first attempt to understand secularism came during the heydays of Mughal rule when emperor Jalalu d-Din Muḥammad Akbar (“Akbar the Great”) attempted to institute the concept of Din-i-Ilahi (“Religion of God”) in year 1582 A.D. Akbar promoted tolerance of other faiths. In fact, not only did he tolerate them, he encouraged debate on philosophical and religious issues. He had by then repealed the Jizya, or tax on non-Muslims, in 1568. However Din-i-Ilahi was propounded as a syncretic religion with “Sulh-e-Kul” (universal peace or peace with all) at its essence. Din-i-Ilahi was an ethical system that prohibited lust, sensuality, slander and pride, considering them sins. Piety, prudence, abstinence and kindness are the core virtues. Celibacy was respected, chastity enforced, the slaughter of animals was forbidden and there were no sacred scriptures or a priestly hierarchy. The policy of “Sulh-e-Kul” not only had religious purpose, but became a part of general imperial administrative policy. Din-i-Ilahi thus formed the basis for Akbar’s policy of religious toleration. But Din-i-Ilahi did not succeed since it tried to be an alternate to religion though its avowed purpose was secular i.e. the implementation of administrative policy. People often make the mistake that Morality lays in the domain of Religion. This is simply and absolutely not true. Our morality, like our intelligence, is a function of our brain. How do you make people smarter? You need a physically good mind and some training. If the brain is physically defective, e.g. if someone has Down syndrome or another form of learning disability, it is not easy for that person to become smart. Morality works in much the same way as intelligence does. You need a physically healthy mind and moral education to develop high moral quotient. Some people suffering from emotional disorders may not have empathy preventing them from developing a moral quotient. The question is how what we can do to prevent that happening to others. Psychology, not religion, provides the answer. Misogynistic societies are abusive towards children and women. Misogyny results in lowering women’s self-esteem. These women become mothers and pass that low self-esteem to their children. As the result children in patriarchal societies are more likely to develop some form of mental disorder. Religious morality is generally based on fear and greed. In most religions doing something right for the sake of it generally does not exist. The motivation is either reward (place in heaven/ reborn as a higher life form) or punishment (place in hell/ reborn as a lower form of life). We can’t call this ethos morality. Such religious conditioning deems humans to be animals who would respond to either stick or to carrot. A child may become motivated to study if he is promised a reward or if he fears failing his grades. Adults don’t need such motivations to learn. They go after learning because they love it. The reward is in the learning. Moral values based on fear, cannot be moral. A moral person is one who has inner control. If you put a gun on someone’s head you can ask for his wallet and he’ll hand it to you. Can you then conclude that this person is a generous person? Of course not! A person who gives you money under threats cannot be called generous, moral or virtuous. Higher qualities that define humanity are made relevant through freedom – freedom of choice and action. If you don’t steal because you fear consequences then you cannot be called honest. Only when you don’t steal, though no one is watching and can get away with it, can you be called an honest person.